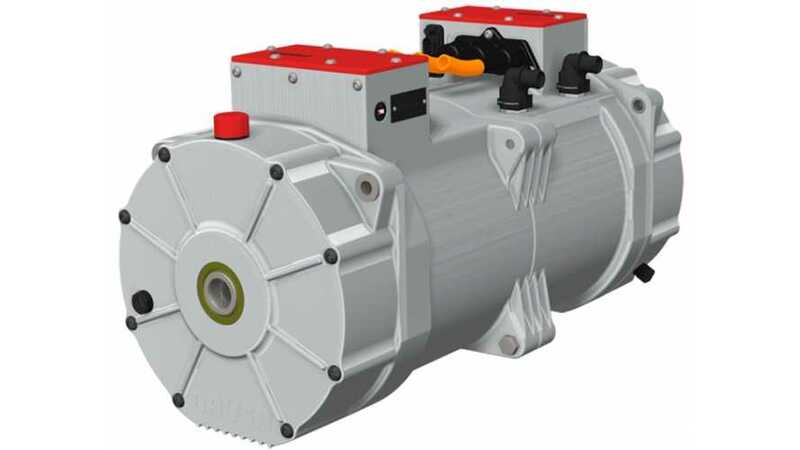 Swiss company Brusa Elektronik unveiled its so-called Double Traction Drive Planetary DTDP1 electric motor. Newsworthy here is its compactness, power and weight. The Brusa DTDP1 measures in at only 614 mm (24 inches) in total width, yet puts out 300 kW (402 hp) of power. Since the units weighs less than 300 lbs, it's specific power-to-weight ratio, including the gearbox, is 1 kW per pound. Wanna get all technical? Here goes: The Brusa twin-motor drivetrain consists of two newly developed hybrid synchronous motors HSM2, each of 150 kW of peak power and 275 Nm (203 ft lbs) of peak torque and planetary reduction gearing of 7.25 to 1. This converts to 2 x 2000 Nm (or 2 x 1,475 ft lbs) at the wheels up to speeds of 60 mph! 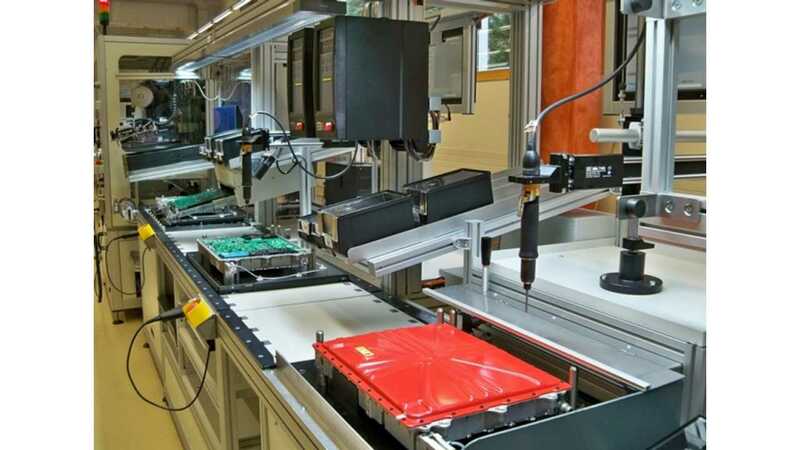 Moreover, both wheels are driven independently with full torque vectoring, feed from Brusa DMC534 inverters. All this performance, coupled with its compact size and low weight, means that this unit is ideally suited for sportscar or even racers capable of speeds over 120 mph. Do you think any OEM's will line up for this unit? Will we soon see an electric supercar with this gear? Only time will tell.